In May of 1868, General John A. Logan proclaimed the first Decoration Day. Five thousand participants lay flowers on the graves of more than 20,000 fallen Union and Confederate soldiers in Arlington Cemetery to acknowledge their ultimate sacrifice. Since World War I, Memorial Day has honored the lives and deaths of all American service people. In 1971, the last Monday in May was declared an official national holiday. Today Memorial Day signals the unofficial beginning of summer, with a three-day weekend, backyard barbecues, and a big sale down at the Big Box stores. Often there’s a parade. Some would say that’s fine, that living free and well is the legacy of those who died in service of preserving that good life. But while we are flipping hamburgers and battling holiday traffic, let’s take a moment to remember why there is a Memorial Day and what it truly means, particularly to our living Veterans. While it is always appropriate to thank our Veterans for their service to our country, many service people will defer the honor to their fallen brothers and sisters on Memorial Day. The fact is, most Veterans suffered the loss of fellow service people, people whom they knew and were close to in time of war. Their stories of loss are personal. Memorial Day is an excellent opportunity to listen to some of these stories, and honor the memories of real individuals who are missed by the men and women who served with them shoulder to shoulder. Michael started the trend of crafting artificial poppies and selling then to raise money for service people in need. The movement spread to Europe where poppies were sold to benefit war orphans in France and Belgium. A beautiful red three-cent stamp was produced by the US Post Office in 1948 to honor Michael’s contribution to Veteran wellbeing. It couldn’t hurt to grill up a hot dog or offer a nice slice of watermelon to a local Veteran. Just remember that this day has deep and personal meaning for many, and indeed, for all of us. 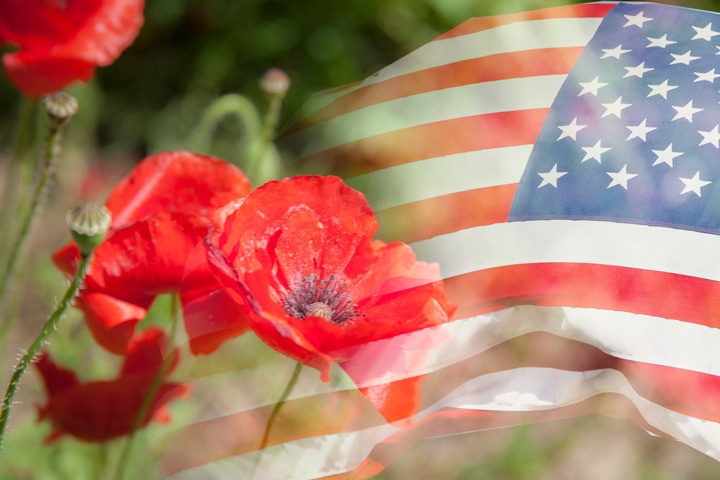 As a former US President said in a Memorial Day Speech at Arlington Cemetery, “Peace is a fragile thing that needs constant vigilance.” Let us take time to remember those who have fought for peace this Memorial Day. Contact the Senior Living Management community nearest you to find local events and celebrations which help us honor our veterans.